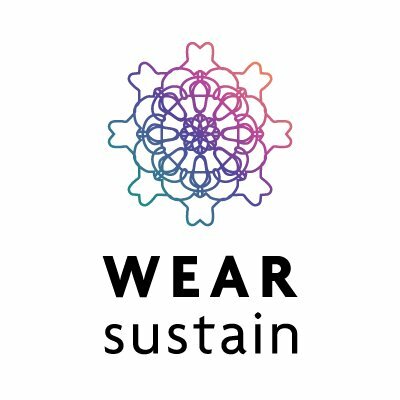 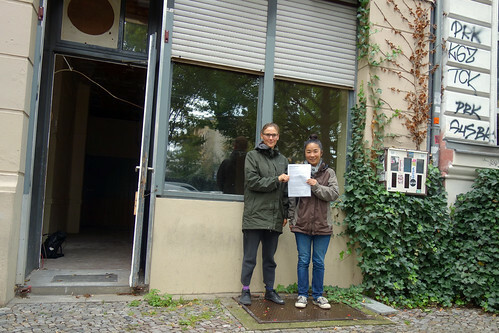 Today we signed the contract on our shop space for one year! 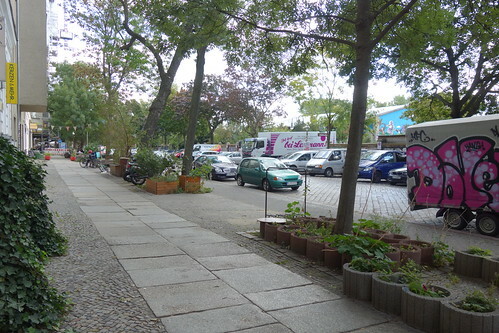 That makes our cold rent 7,50 Euro per square meter, which is a good price for Berlin. 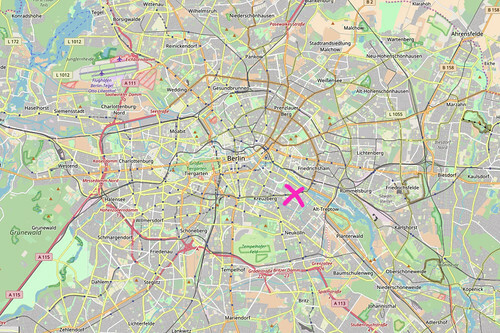 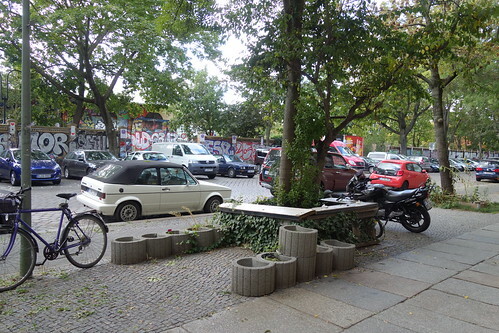 Some spaces in Neukölln and Prenzlauerberg were listed at 45 Euro/square meter! 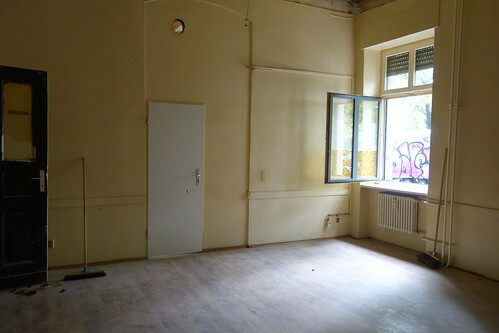 The deal is that our space is a Zwischenmiete (intermediate rent) for one year and it is Renovierungsbedürftig (in need of renovation) – see photos bellow. 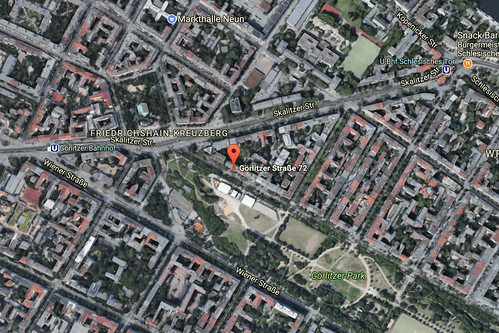 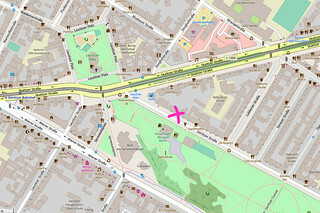 We’re located on the north side of Görlitzerpark with our windows facing south, so lots of sun. 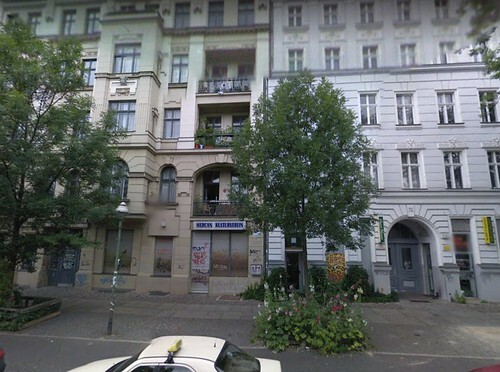 The place used to be a Turkish cafe called Merkan Kulturverein which closed two months ago in August 2017. 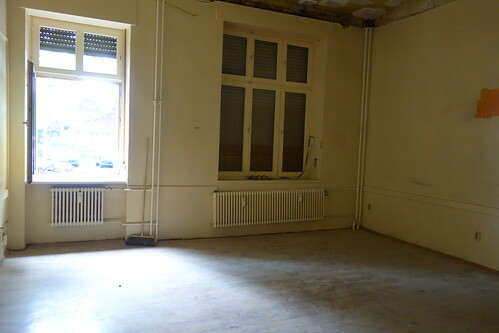 It smells of smoke, the walls are a dirty yellow and the ceiling was recently taken down so it looks very raw. 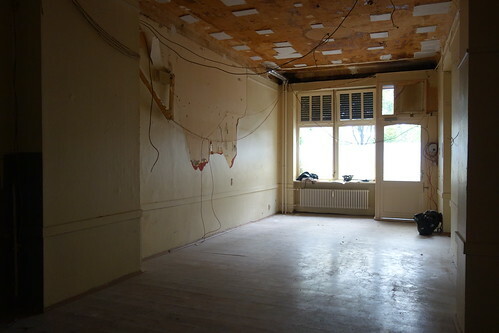 We won’t be doing anything to the ceiling, but all the walls need to be scraped of old paint if this is possible to do easily, otherwise we put another coat of white paint on top. 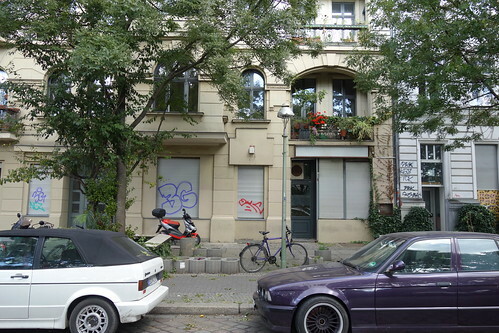 The doorway between the two large rooms has been filled with a small door and this should come out. 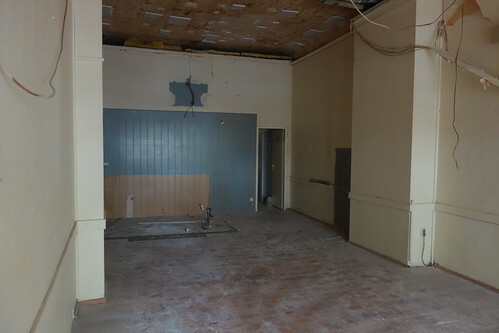 The floors need cleaning and in one place need to be taken out or covered. 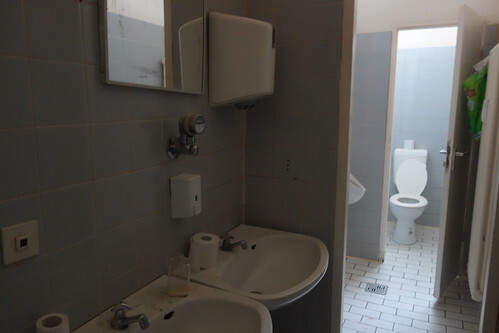 There are 3 toilet stalls and 2 pissoirs. 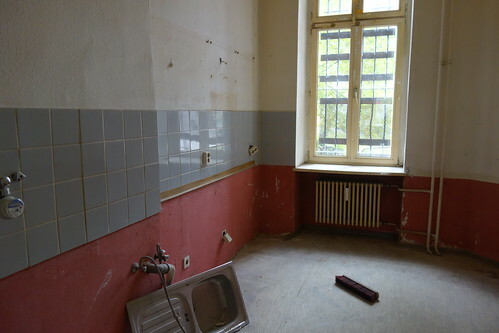 And a kitchen with window out to the very nice back courtyard.